Shaw, John E., husband of Betty (Bowen) Shaw of North Kingstown and Martha's Vineyard. He and his wife were also Snow birds as they would winter in Florida for three months. Mr. Shaw was in sales for most of his life. He was also an avid bird feeder. He was a dedicated veteran of WWII serving in the USCG and Navy Reserves and as such he would fly his personal flag daily with respect and honor. Besides his wife he leaves a son, Robert F. Shaw of Coventry, daughters Pamela J. Shaw of Warwick, Christine L. Babiec of Pawtucket, Nancy Lee Waterman of Warwick and a sister Eleanor A. Beno of Rancho Santa Fe, Calif, 4 grandchildren, Timothy Greene, Andrew Greene, Jonathan Babiec and Katherine Babiec and 3 great grandsons. His life will be celebrated with calling hours Thursday morning 8-9:50 with a service to follow at 10:00am in the Stapleton Family Funeral Home, 684 Park Avenue, Cranston. Burial will be in RI Veterans Cemetery, Exeter. 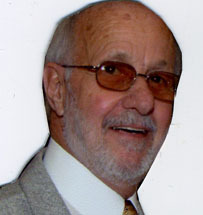 In lieu of flowers, donations in his memory may be made to the American Heart Assoc., 1 State St #200, Providence, RI 02908.